Self-Binding Mug Rugs. Includes 2 sizes and 3 designs. Totally made in the hoop. 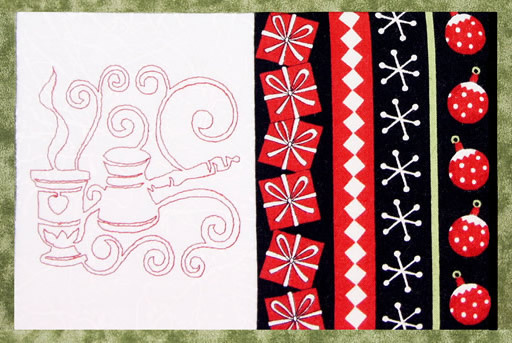 Self Binding Mug Rugs are great for gifts and everyday use. A few inches of fabric, and about 30 minutes is all it takes to complete this project. Use the included designs or easily swap them out for any design in your embroidery library. Machine instructions for 2 sizes of Mug Rugs in 9 different formats.